2018 has made me very happy, due in part to the number of book adaptations there have been this year. We have science fiction with Annihilation, fantasy with Ready Player One, and love stories like The Kissing Booth, Crazy Rich Asians and of course, Jenny Han’s To All The Boys I’ve Loved Before. Movies bring more attention to the books, and helps keep reading alive in a society that is slowly losing its grip on it. 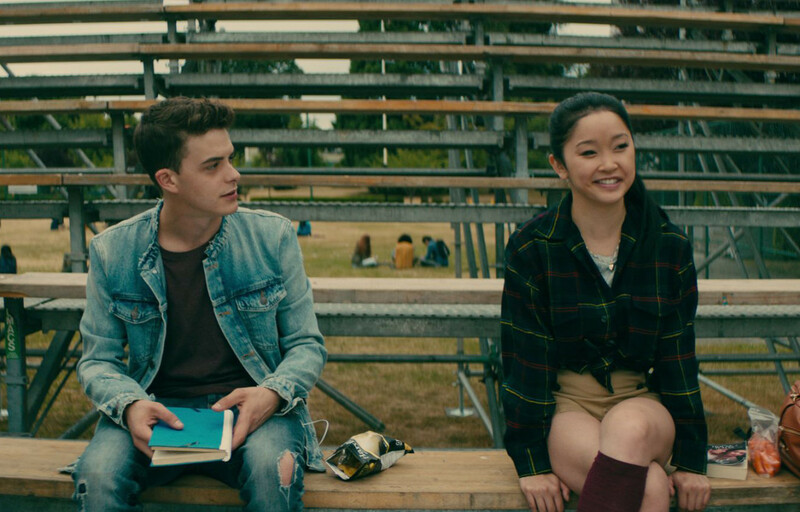 The sheer popularity of To All The Boys I’ve Loved Before has surprised me. I see news about it all the time ever since its release: YouTube telling me to watch the actors play truth or dare, or videos about their interviews, articles about the movie keep popping up on Facebook, as well as people sharing their viewing of the movie on their insta stories. Because it was a book first, I wanted to read it, then watch it. Let me tell you, tracking the book down has been an adventure on its own. Because it is so popular, it has been fully checked out of the library, so I would need to reserve it and wait, which is not a strength of mine. So I decided to look for it at nearby bookstores and was surprised when I couldn’t even detect a whisper of the book anywhere. I tried book depository and it is sold out there too. This was more insane than Harry Potter. Finally, I had to resort to a local online buying/selling space called Carousell to get the book. I think the seller was surprised that an almost thirty year old woman was desperately trying to buy a young adult fiction book. Then, I spent my teachers day holiday sitting down to read the book, which I finished in an hour. I took a break for lunch (because sustenance is important in the digestion of romance), then signed into Netflix to watch the movie. These were my thoughts along the way. I must say that the casting people did a fantastic job. Going from reading the book to immediately watching the movie, just the physical look of the characters are so spot on. These young actors really sell those one on one conversations, which the movie had a ton of. 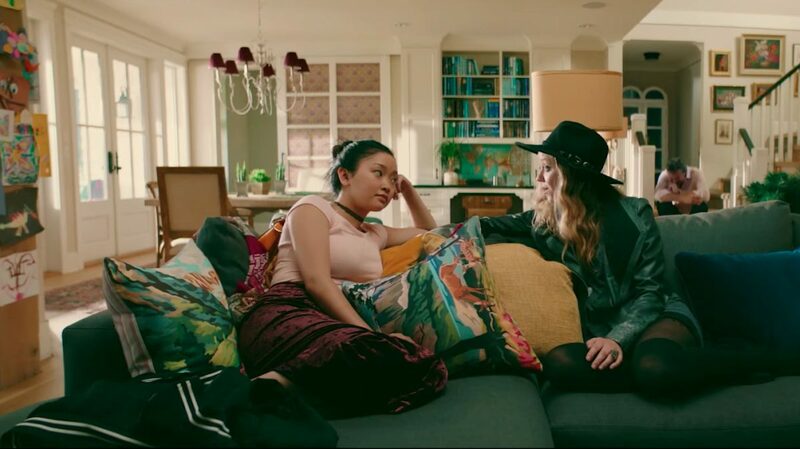 I do think that Janel Parrish is a bit too old to play the older sister going to college, but I do appreciate their attempts to get actors of East Asian ethnicity to portray these characters. Jenny Han, the writer of the book, was very insistent that the lead character be authentic to her half Korean roots, and she was only going to sell the movie rights to the people who would agree to do that. Kudos to Netflix for seeing that representation is an important thing. Leading actors in movies no longer have to be white for us to identify with them, we relate with them through a story well-told. After watching the movie, I do wish they had stuck to the dynamics of the relationship that the book portrayed. Her relationship with Josh in the book is more complicated and confusing, which made it more compelling. He actually got jealous of Peter’s relationship with her and kisses her, which results in massive drama when her sister comes back. I understand the changes, mainly because generally reviews of the book condemned her actions of falling in love with her sister’s boyfriend, so they removed that element and made it more straightforward. People who judged her so harshly for that clearly have not been human. The guy is their neighbor for a good part of their lives, they were best friends before he started dating her sister, he is a gorgeous, sensitive guy … why wouldn’t she have fallen for him? What I appreciate about the book and the movie is the highlighting of the difference between a crush and a relationship. Having a crush on someone is liking the idea of them, while being in a relationship is knowing who they are; one is fantasy and the other a reality. I thought this was a smart update since the books pre-dates all this social media elements we currently have. The sharing of couple pictures on Instagram to sell the relationship, the video of them making out in the hot tub that got shared and went viral. Advancements in technology has definitely made rumours and gossip more malicious and long-lasting. Peter in the movie is more emphatic in his white knight status, where he yelled the truth across the hallway, and in doing so, helping to quell the gossip. In the book, Lara Jean is quite the baker. She spends a lot of time in the kitchen, especially after Margot leaves, taking on a more nurturing and maternal role. It provides a lot of sweet moments, like her preparation of food for her little sister Kitty and Peter. Also, the scene where she is baking cupcakes, Peter actually comes to help her so she can finish faster and go to the party. There is definitely more references to Korean cuisine in the book than the movie, with her dad always trying his hand at Korean dishes so they don’t feel like they are missing out with their mom gone. Lara Jean also has a nostalgic experience in the kitchen, where she recalls the rice balls her mom used to make for them, with sushi rice and tofu skin, and tries to replicate them from memory. I wish they added in this aspect of her characterization, which would have helped strengthen the movie in my opinion. 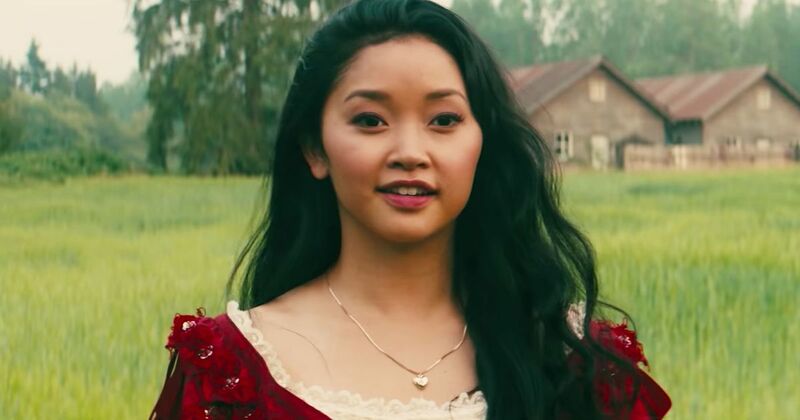 Lara Jean doesn’t come across as very stylish in the books, where the commentary about her clothes revolve around farm girl chic. In the movie however, she is infinitely more stylish, and even Peter remarks on this, saying she has better style than his ex girlfriend Genevieve (who is a one-woman crazy town, how he even likes her is beyond me). But there is a Halloween event in the book that I found interesting, where Lara Jean comments on how her ethnicity has prevented her from joining in the fun in some sense. She tried dressing up as Velma from Scooby Doo one of the years, and people thought she was a manga character. So after many occasions of being stereotyped, she decided she would go as an Asian character, so people would be able to see her for who she is. That essentially is the Asian American experience, fitting in but yet at the same time, not really. She and Josh coincidentally dress up as Cho Chang and Harry Potter respectively, and if you are a Potterhead, you know they have a bit of a romantic thing going on in the series. But, if you are a Potterhead, you also know that Cho and Harry don’t end up together, and I would like to think that’s a bit of a heads-up from Han about their relationship. Peter is popular and well-liked, much like Cedric Diggory, who is with Cho until his tragic death. Don’t worry, this isn’t a weepy romance, Peter survives the movie and the first book (not sure about his fate in the trilogy though). 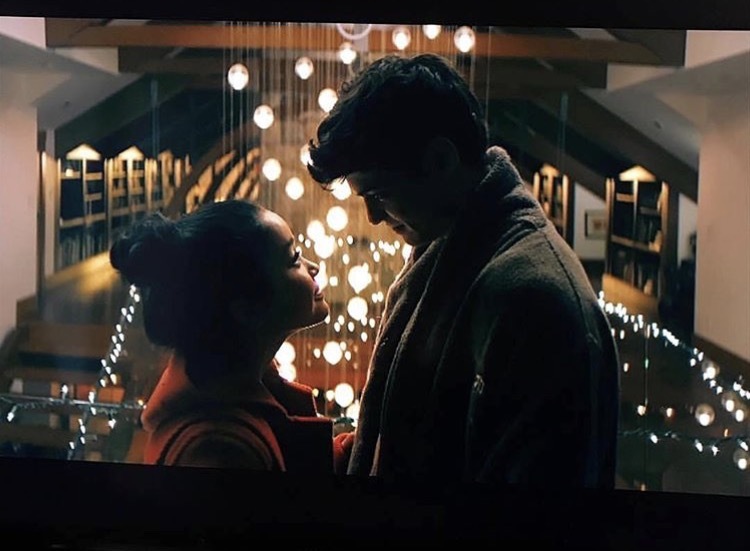 They end the movie with Peter and Lara Jean fixing their relationship and getting back together, this time in a real relationship instead of a fake one. In the book, it ends with her writing a letter to Peter, the cliffhanger of sorts ensuring we will read the next book. We also get a slight glimpse of John Ambrose McClaren, whose role is slightly more tangible in the book. In the book, we learn that he is still doing Model UN, and Lara Jean feels the urge to go see him, to feel that he is real somehow. They have this brief connection during the event, where she passes him a note and there is a moment of recognition. 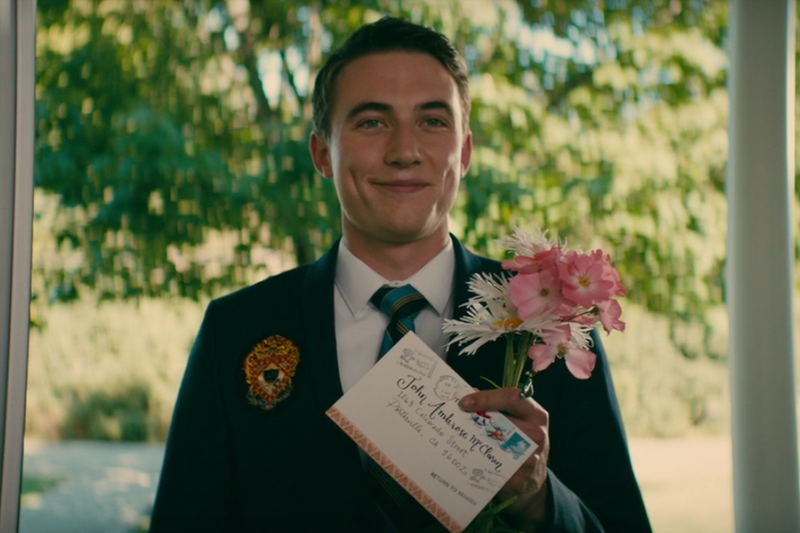 In the movie, having him appear at her door like that, so briefly, seems like a little breadcrumb for readers. Because I read the book, I know Lara Jean looks at him as the one who got away, and how significant his appearance is at the end. This brings me to my next thought: would I have enjoyed the movie if I hadn’t read the book? I do think the lead actors have chemistry, and that the movie has a lot of heart, but my investment would not have been there if not for the book. I realize this is the case for a lot of adaptations, like Harry Potter, The Hunger Games … A reader doesn’t watch an adaptation on its own merits, we watch it to evaluate authenticity, to see if the film can create and replicate what the book did. I guess I will always enjoy adaptations in a different way, as a visual extension of my reading world; when done right of course. Thank you for reading! 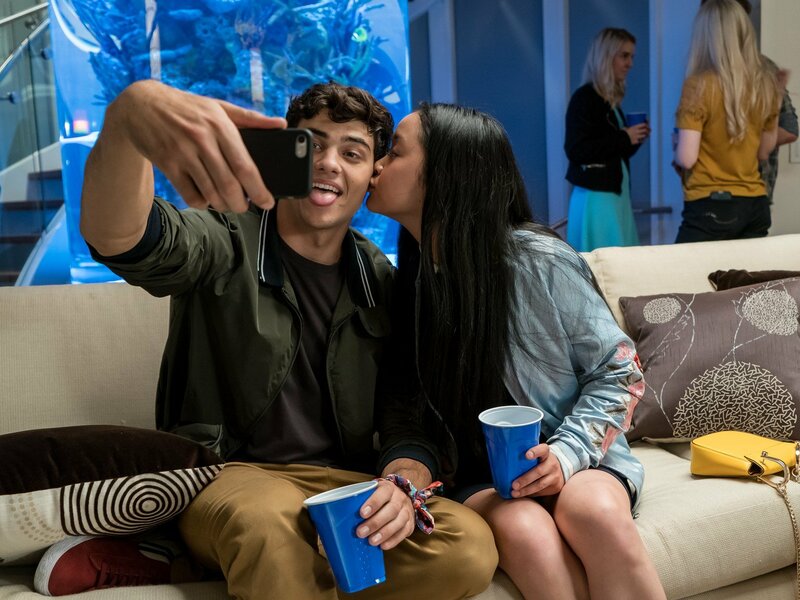 What are you thoughts on To All The Boys I’ve Loved Before? Comment down below! I watched without having read the book first. It is a sweet and charming movie, my grandma heart was reminded of my youth. Must find the book for my granddaughters! Thank you for broadening my perspective of the movie and the characters. Not yet. But thanks for reminding me!